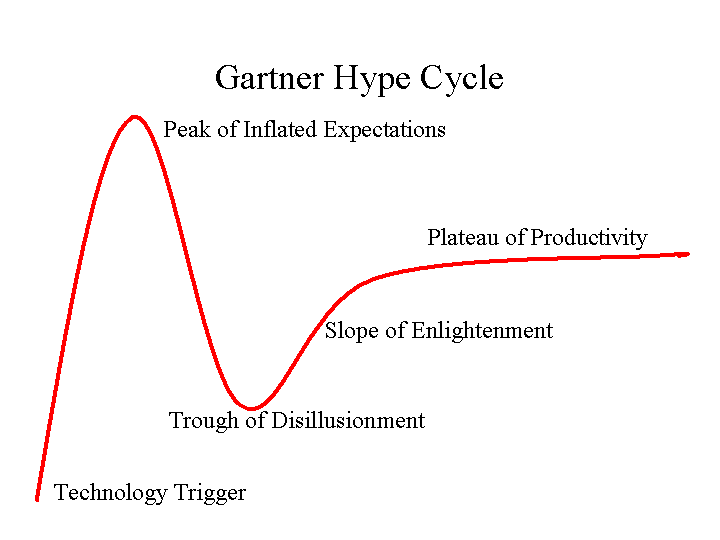 If 2012 was The Year of the MOOC, one would expect 2013 to begin the MOOC’s path into trough of disillusionment. And to be fair, the MOOC has encountered more criticism* from a wider array of thinkers and researchers since The Year of the MOOC. But the hype continues to soar. Education continues to be broken. MOOCs continue to focus on their model successes. And history’s biggest backer of education is maneuvering to make the MOOC more than a flash in the pan. There’s more — Christopher Newfield has a great rundown at his blog — but the list above has garnered substantial media attention and political movement. The California State University system continues to utilize MOOC providers in offering courses, extending an agreement with EdX for 11 CSU schools to offer a course in Circuits & Electronics, as well as the test-run of three remedial courses through the Udacity platform, courses developed and implemented with public money. This wave of political action has been met with high-level calls for a rethinking of college accreditation in our rapidly changing world. This is not symbolic of a trough of disillusionment, but rather a springboard into a new reality. The concept of higher education is changing, fast. Before the ink is dry on the first round of peer-reviewed MOOC research, political movements are shaping a higher education landscape designed to support the MOOC and its endeavors. Whether the talk of globalized, democratic education is hype and bound to slide down, the landscape has changed, even if the legislators have yet to sign the contract. What does it mean? Idle speculation isn’t helpful. But it would be wise to heed the advice of George Veletsianos and make sure to have a voice at the table of decision-makers who are designing this future of education. * – I hate pointing this out, but criticism is not a bad thing. A critical perspective is an integral part of developing any system, structure, idea, theory, etc.